It was perfect. Eleni and Dimitri are the kindest people. We got home made cakes and coffee on our arrival and then every day after. The room was beautiful - meticulously clean, spacious, tastefully decorated and a fantastic balcony with the best view of the Hora. The whole of the apartments was also beautiful - great outdoor spaces and really pretty. And for the price, it was unbelievable value. We really were sad to leave. A gorgeous stay! * Lovely warm welcome: coffee and cake! * Breakfast supplies (including home made jam) in room. * Amazing view of Chora from balcony. * Short walk to beach, shops and great restaurants. * Our host, Eleni, organised our transfer to the port when we left and was there (at 4.15am!) to make sure all went well. * Excellent value for money. L'accueil assuré au port à 5h du matin (malgré 1h de retard) + transfert. Logement très agréable avec un grand lit double et vue magnifique. Petits gâteaux mis tous les jours dans notre chambre pour le goûter et très bonne relation avec les personnes rencontrées. Excellent séjour. Nous le recommandons. Υπέροχη η διακόσμηση του χώρου, λειτουργικό στούντιο και ΦΑΝΤΑΣΤΙΚΗ η θέα! Η δε κυρία ευγενέστατη "φρόντιζε" ακόμη και για το πρωινό μας προσφέροντάς μας νοστιμιές που παρασκεύαζε μόνη της! Appartamento piccolo ma accogliente confortevole e funzionale. Straordinaria ospitalità e disponibilità dellhost e della sua famiglia. Senz'altro da consigliare! L'ospitalità eccezionale, con omaggi culinari quotidiani per merenda. La pulizia, la cura dei dettagli. Το μονο που έχω να πω εαν και προκατειλημμένος λόγω τιμής ειναι οτι ξεπερνάει κάθε προσδοκία. Το δωμάτιο ειναι πολυ όμορφο με πολυ ωραια διακόσμηση απλό και ζεστό για κάθε ζευγάρι ή οικογένεια που θέλει να περάσει τις πιο όμορφες διακοπές και απο κοντά θα διαπιστώσετε οτι ειναι πιο όμορφο απο οτι στις φωτογραφίες.το δωμάτιο ήταν πάντα καθαρό.Σε τέλειο σημείο με υπέροχη θέα την χώρα κ το κάστρο εισαι κοντά σε όλα ακόμα κ χωρίς μεταφορικό μέσο η χώρα ειναι γύρω στα 10 λεπτά με τα ποδια. Ένα ακόμα θετικό ειναι η φιλοξενία που υπάρχει σε όλο το νησί και ίδιως απο την κυρία Ελένη με την γλυκιά καλημέρα της που κάθε πρωί θα ειναι εκεί να σε φυλεψει κάποιο απο τα παντανοστιμα γλυκά που φτιάχνει και μοιράζει , και εαν θέλετε να μάθετε κατι για το νησί ο Γιώργος ειναι το trip advisor σας , λύνει και δένει σε όλο το νησί. Σας προτείνω ανεπιφύλακτα την επίσκεψη σας στο νησί όσο και στο κοράλι.!! Lock in a great price for Korali – rated 9.6 by recent guests! Only 650 feet from Pera Gyalos Beach, Korali is built on a hill enjoying views of the Aegean Sea and the Venetian Castle of Astypalaia. Guests can choose among tastefully decorated rooms and studios with free Wi-Fi. Fitted with iron beds and mosquito nets, all spacious units open to a balcony with sea views. Facilities include a TV, hairdryer and air conditioning. Some accommodations types have a kitchenette with cooking hobs and fridge. Korali lies 3.1 mi from Astypalaia Airport and 4.3 mi from the port of Agios Andreas. The island’s castle and the Church of Panagia Portaitissa are 0.6 mi away. Free parking is possible nearby. 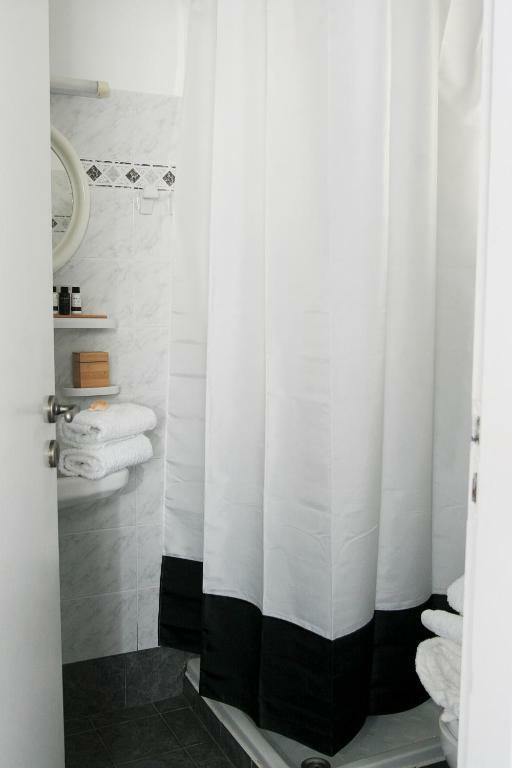 This is our guests' favorite part of Astypalaia, according to independent reviews. 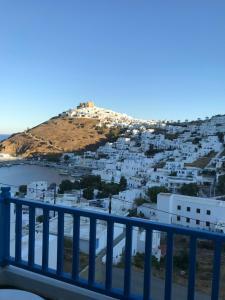 This property is also rated for the best value in Astypalaia! Guests are getting more for their money when compared to other properties in this city. 뀐 Located in the top-rated area in Astypalaia, this property has an excellent location score of 9.8! When would you like to stay at Korali? 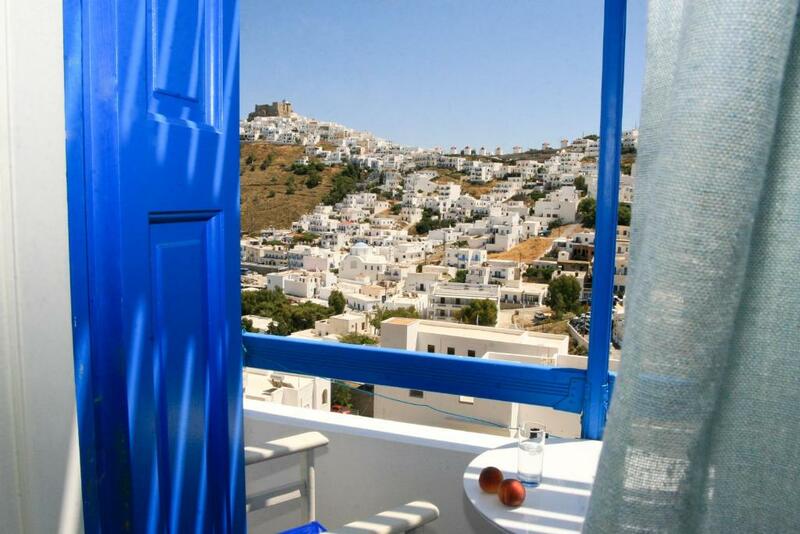 Enjoying views of the Astypalaia Castle and the Aegean Sea, this room is fitted with an iron bed and mosquito net. Bright and spacious, it comes with a balcony, TV, air conditioning and free Wi-Fi. 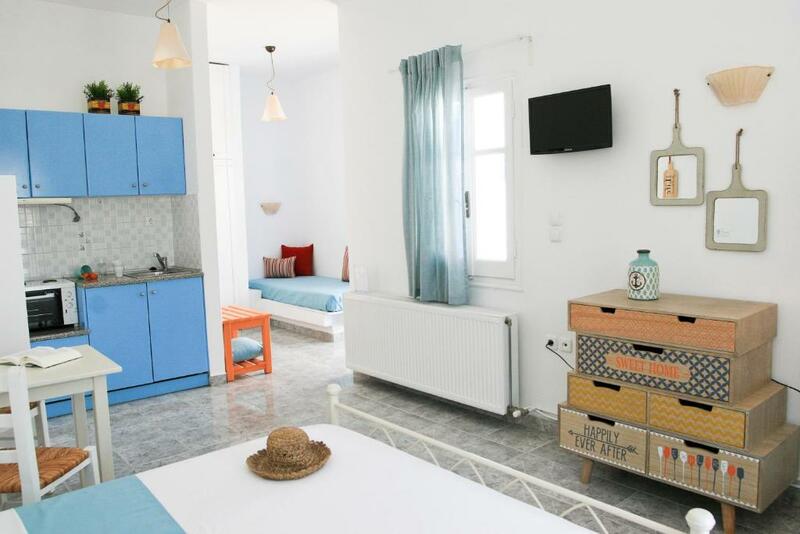 Featuring a kitchenette with a fridge and cooking hobs, this tastefully decorated studio enjoys views of the Astypalaia Castle and the Aegean Sea from its balcony. Bright and spacious, it comes with a TV, air conditioning and free Wi-Fi. House Rules Korali takes special requests – add in the next step! Korali accepts these cards and reserves the right to temporarily hold an amount prior to arrival. Please let the property name know your expected arrival time in advance. You can use the Special Requests box when booking or contact the property.